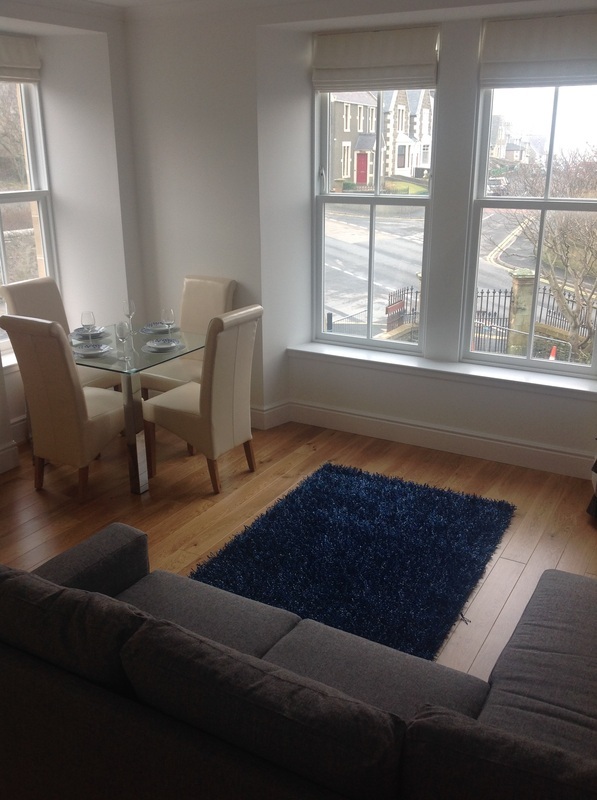 Craigielea Apartment 3, 39 St Olaf Street, Lerwick. Available for lets of 3 days and more - Please contact us for a quote. 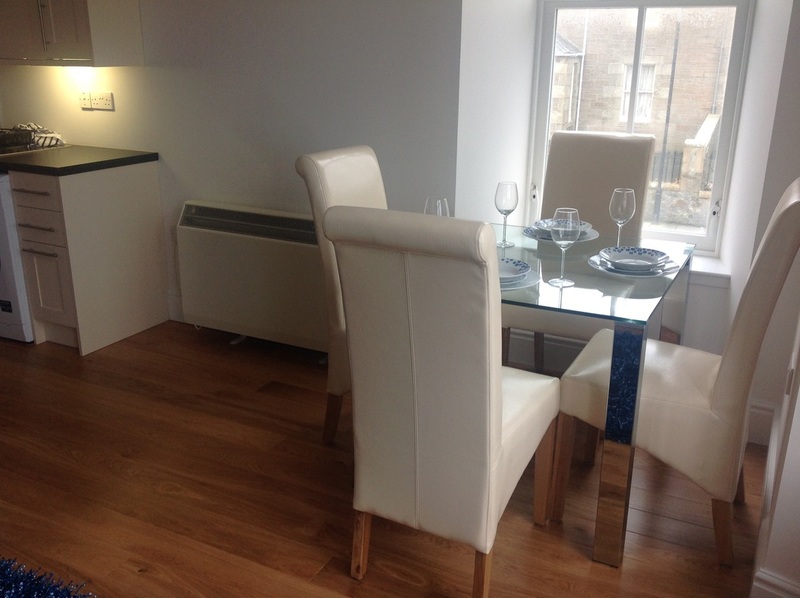 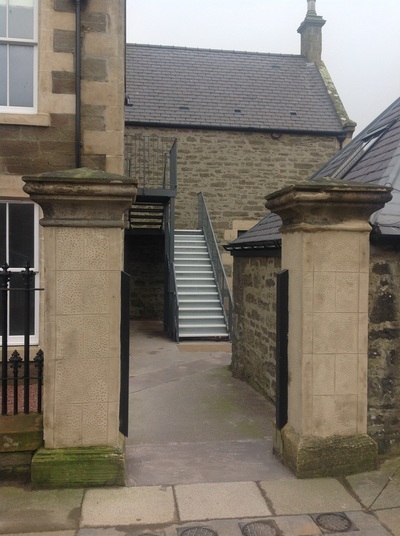 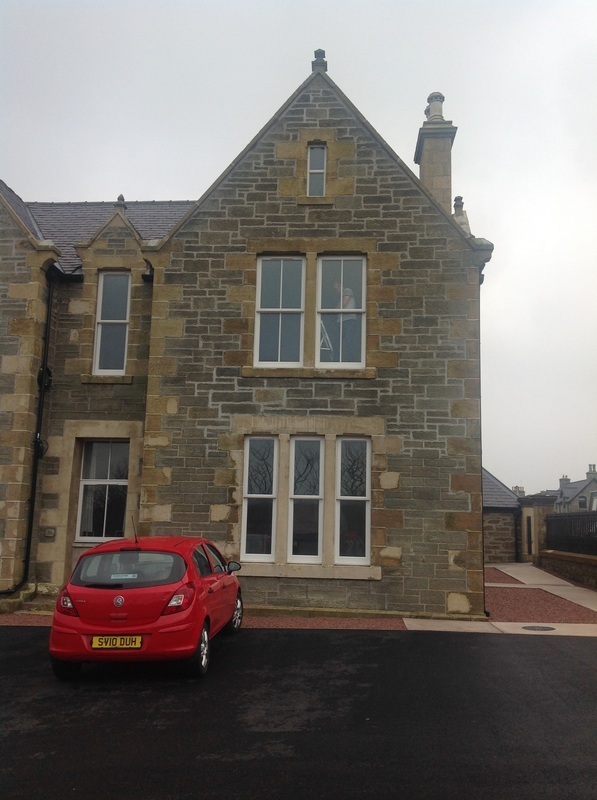 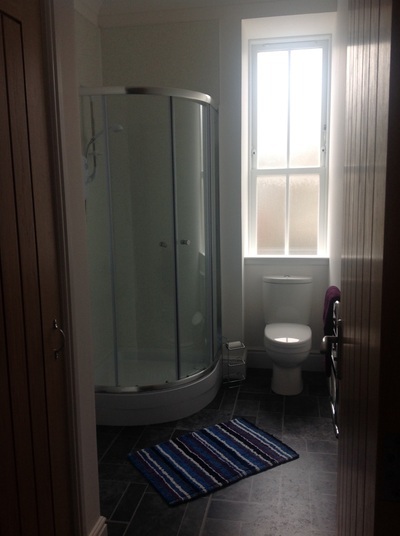 Craigielea Apartment 3 is a first floor apartment, located at the end of St Olaf Street in the centre of Lerwick. It is a new modern conversion in a beautiful old building. 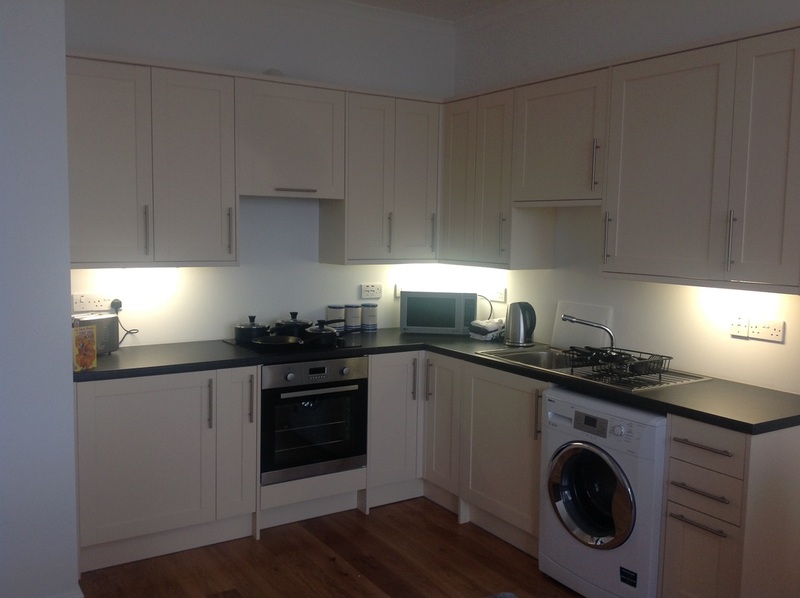 It has one bedroom, a fully fitted kitchen and spacious lounge / dining area. 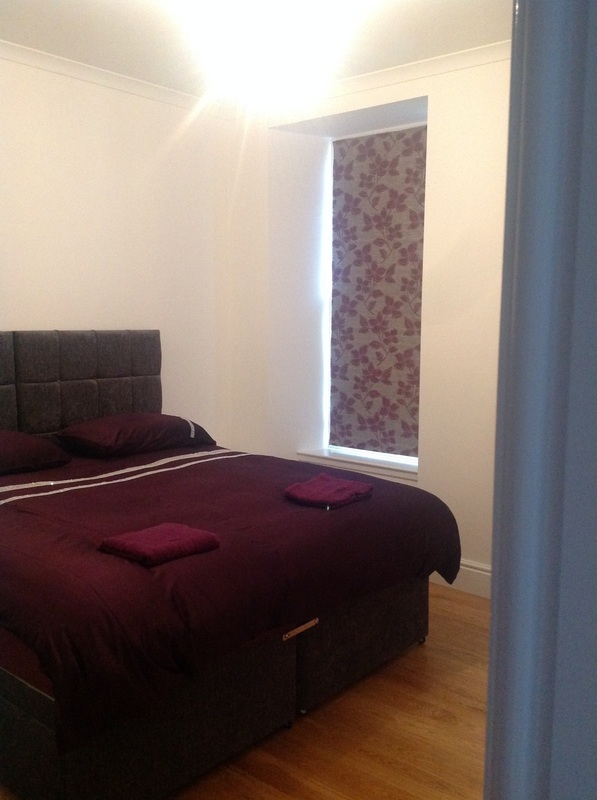 The bedroom can be configured with a superking sized bed, or if preferred can be set up with two single beds. The lounge settee can convert into a king sized bed. All linen, towels, crockery, utensils etc are provided. 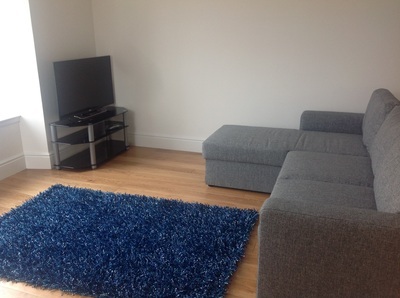 Unlimited free wi-fi and smart TV.